St. Croix, its finally here!! The first ever party bus experience has arrived on St. Croix! Island Vybez Party Bus LLC. is a unique company designed to make any occasion special. Whether you are celebrating a birthday, a bachelor or bachelorette party, a wedding, a prom, a night out on the town or anything in between, Island Vybez Party Bus is here to lay out the red carpet for you and make your experience unforgettable! BOOK NOW and have fun that is exclusive to you and your guests. 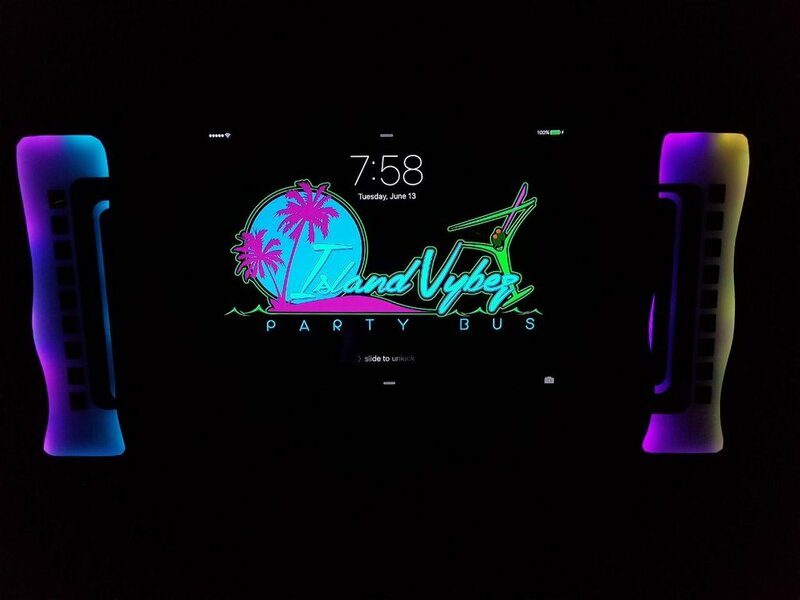 Island Vybez Party Bus offers incomparable entertainment, safety, reliability and luxury you can trust!